Our mission is to make a global impact by bringing research into practice to provide comprehensive services including diagnostics, treatment, consultation and collaboration. 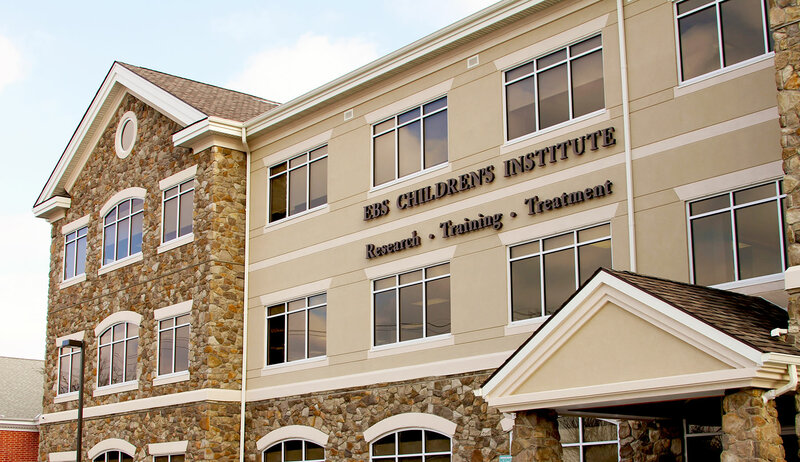 Each year, we bring top researchers, therapists and universities together to collaborate and provide a multidisciplinary approach to the challenges that children and young adults face throughout all stages of development. As a result, we bring breakthroughs to the field of Special Education that positively impact the lives of more than 2.1 million children per year. Autism: Hope that there is Help. 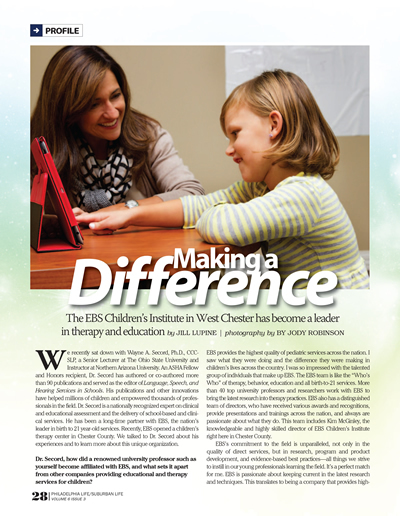 Making a Difference: The EBS Children's Institute in West Chester has become a leader in therapy and education. 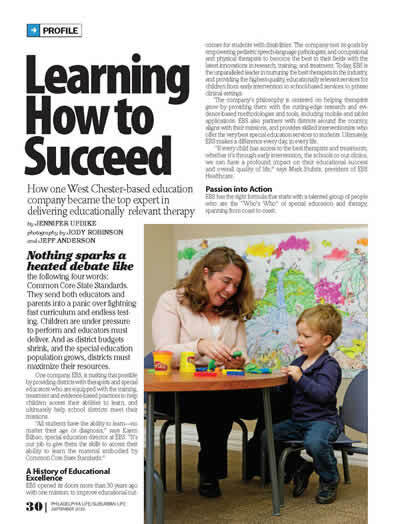 Learning How to Succeed: How one West Chester-based education company became the top expert in delivering educationally relevant therapy.